Home » Events and Blogs » Blog » What’s the key to unlock optimal health? 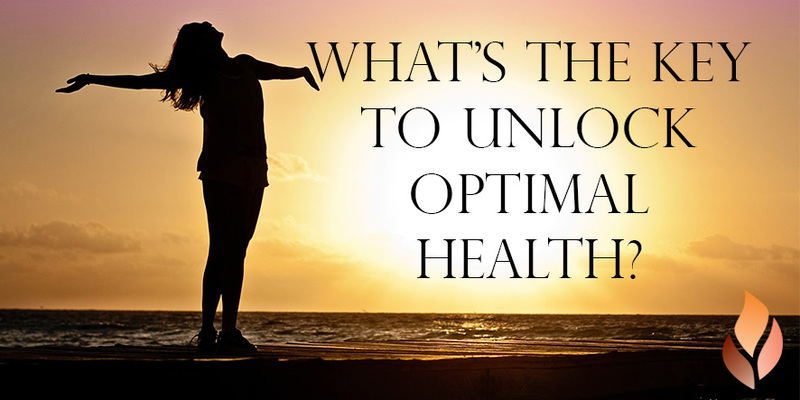 What’s the key to unlock optimal health? Let’s start by talking about one of the world’s largest health professions, Chiropractic. Chiropractic is based on the scientific premise that the body is a self-regulating, self-healing organism, with these functions being controlled by the brain, spinal cord and all the nerves of the body1. Chiropractic looks at the relationship between your body’s structure, being primarily the spine and the pelvis, and your body’s function, coordinated by the nervous system. Nurturing this relationship can affect the preservation and restoration of your health. Basically, good health depends, in part, on a normally functioning nervous system. Let’s look at how this works. When under the proper control of your nervous system, all the cells, tissue, and organs of your body are designed to function well and resist disease and ill health2. However, interferences to the nervous system can disrupt the transmission of controlling nerve impulses. For example, a common interference to the nervous system is the twenty-four moving bones of the spinal column2. A loss of normal motion or position of these bones can irritate or impair the function of the nervous system2, therefore affecting your body’s ability to function well. This is why we believe a healthy spine = a healthy life! Here’s where Chiropractors come in! Chiropractors aim to improve your nervous system primarily through chiropractic adjustments, focusing on the spine, skull and pelvis, to help remove any interference that may be impairing your health2! What about Hot Yoga? Well, we know that the heat alone in the room has a phenomenal impact on our bodies – relaxing muscles, opening pores, preventing injury, clearing the circulatory system and improving the cardiovascular system. Then add in the unique series of 27 postures to reshape your body, improve flexibility, increase your energy, detoxify, strengthen and lengthen your body, improve balance and clear your mind. WOAH! Surely Hot Yoga is the key to optimal health? But consider Nutrition. The way you fuel your cells and your body surely has an impact on your health? Absolutely it does! Eating heavily processed foods can dull your body and your mind, decreasing your mental clarity and potentially increasing your weight! Not to mention, cause an array of different health problems down the track. The BEST way to feed you body is through healthy, unprocessed, FRESH foods that will nourish you! And the answer is….. 5. None of the above. The key to your health is YOU! Bonfire is here to help you on your journey, whether it’s Chiropractic, Yoga, Nutrition or all! But at the end of the day YOU control your state of wellbeing. So where do you start? Put your health at the top of your priorities. Come and talk to a Bonfire Chiropractor to see how we can help you! You’ve got the controls, but we’ve got the map!